A charity fundraiser struck down by cancer twice in recent years saw his fundraising efforts move closer to a £35,000 milestone over the weekend as over £2000 was raised across two challenges. Paul McGeary from Newton Aycliffe was 33 when he was diagnosed with APL, a form of blood cancer, and he has twice battled the disease into remission following gruelling programmes of chemotherapy. In the past three years, the 36-year-old has been the face of a fundraising drive dubbed #NotOneInch, with friends, family and strangers coming together in a series of fundraising challenges and events to raise over £30,000. 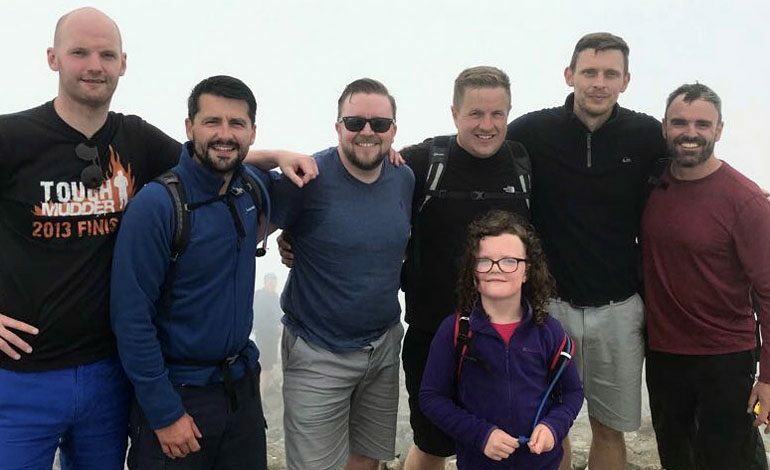 Paul himself was one of seven people who added £1,190 by climbing Scafell Pike, England’s highest mountain, on Saturday – with eight-year-old Fearne Rowell the star of the climb, tackling her first ever peak. Joining Paul in the impressive feat were friends John Close, Paul O’Connor, Andrew Armitage, Peter Cross and Fearne’s dad, Stephen, clocking a total time of less than four hours. 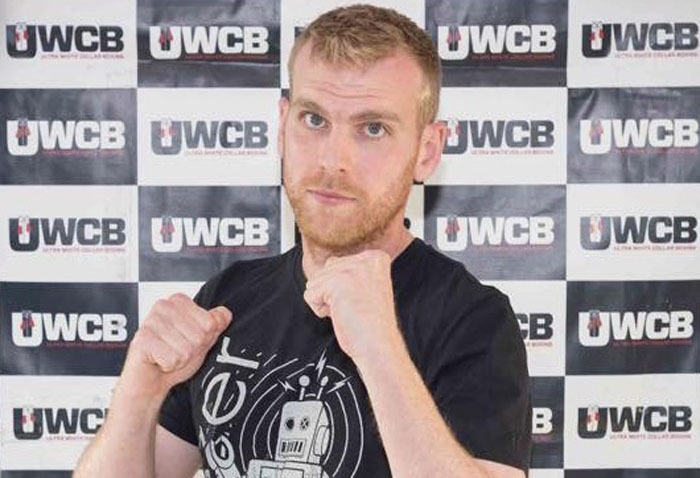 Meanwhile another of Paul’s friends, 29-year-old Newtonian Jonathan Clarke, raised over £1,000 by taking part in his first ever white collar boxing match, claiming a points victory over his opponent on Saturday evening at Darlington’s Dolphin Centre. Paul added: “I can’t thank everyone enough for this weekend. Fundraising has been steady recently, but I felt it needed a shot in the arm. 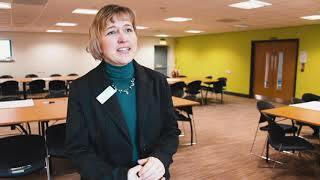 Despite everything I’ve been through, I hadn’t actually contributed to any of the challenges. “I challenged myself to climb Scafell, and thankfully a few of the guys said they’d come along to make sure I got up there. Young Fearne was amazing in her first ever climb, and we’re all really proud of her. Paul’s friends Darren Smith and Dan Lewis are currently fundraising in an attempt to break the £35,000 barrier. Dan hopes to complete the Coast-to-Coast cycle challenge next week, while Darren has a running event in late July. Both men will also take part in the Great North Run in September. • Pictured above: Scafell Pike, England’s highest mountain at 978m; Scafell climbers (Paul McGeary, Paul O’Connor, Andrew Armitage, Peter Cross, John Close, Stephen Rowell, and eight-year-old Fearne Rowell); Jonathan Clarke (credit UWCB).